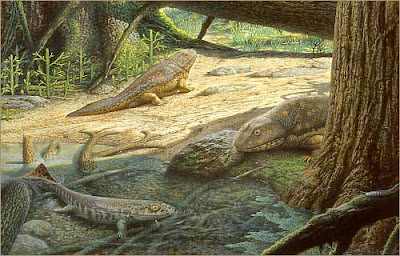 Lonsdale (Sept. 9, 1894 - Nov. 11, 1971) was an English geologist and paleontologist whose study of coral fossils found in Devon, suggested (1837) certain of them were intermediate between those typical of the older Silurian System (408 to 438 million years old) and those of the later Carboniferous System (286 to 360 million years old). Geologists Roderick Murchison and Adam Sedgwick agreed. They named (1839) this new geologic system after its locale—the Devonian System.